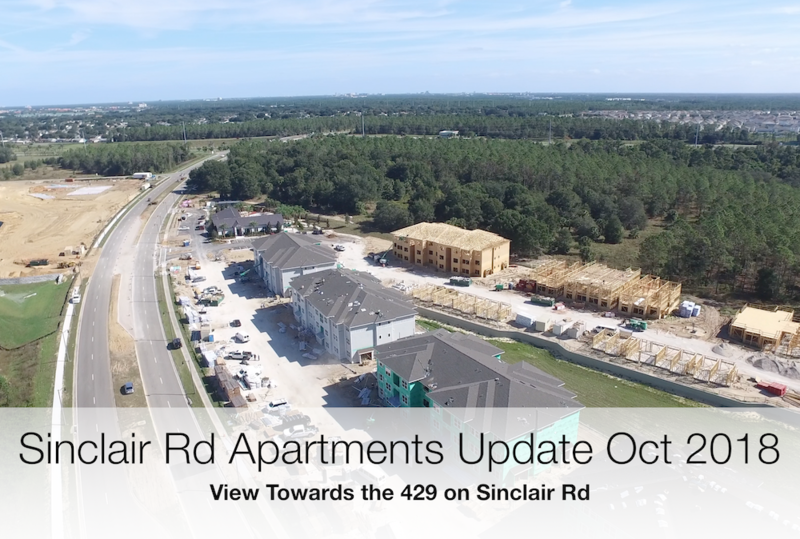 In just a month or so since our last video update, a huge amount has been done over at the Sinclair Rd apartment site. Scheduled to be residential only leasing, the new apartments will no doubt satisfy the County’s requirements for developers to meet certain housing densities in a given area. It’s hard to tell at the moment, whether the developer, Debartolo, has any further plans in the area, but we do hope that the quality and feel of the new apartments will be in keeping with Reunion’s elegant success so far. From the video footage below, we can see the multiple blocks of apartments under various levels of construction, along with a retention pond area and a community clubhouse amenity that will provide a fitness suite and pool for the apartment residents. Dubbed the ‘Encore Reunion Apartments’ we’ve not had any word on lease costs or timeframes, but from the pace of construction, Debartolo are in a hurry to get things wrapped up. Next The Nicklaus Clubhouse Nears Completion!